Monday night: Evening shower, otherwise a few clouds and patchy fog. Near 70. Tuesday: Humid & warm. Peeks of sun. Few PM downpours. Low to mid 80s. Wednesday: Partly sunny. Humid. Better chance for PM storms. Low to mid 80s. TODAY: High humidity will linger through the day. TOMORROW: Potentially decent beach day at the South Coast, Cape and Islands. LOOKING AHEAD: Keep your rain gear handy, the on and off showers will continue through the week. It was a beach day on Cape Cod while significant rains fell in western New England on Monday. In Vermont, more than 3 inches of rain fell in some communities. Thanks to the tropical flow and orographic lift (terrain enhancement), it continues to be very humid. 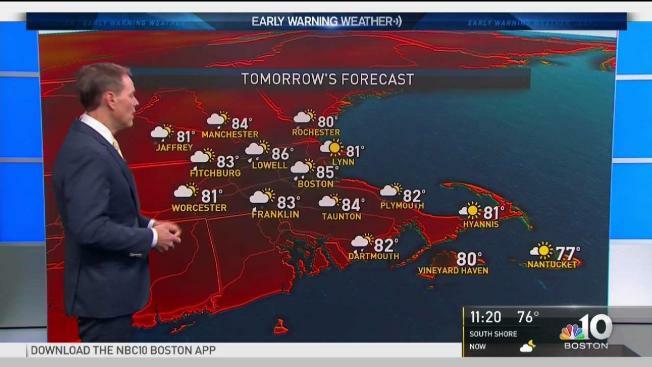 Temperatures in Boston, for example, were in the mid-80s, but with dewpoints in the mid-70s, it felt like it was in the low 90s. Don’t expect that to change. 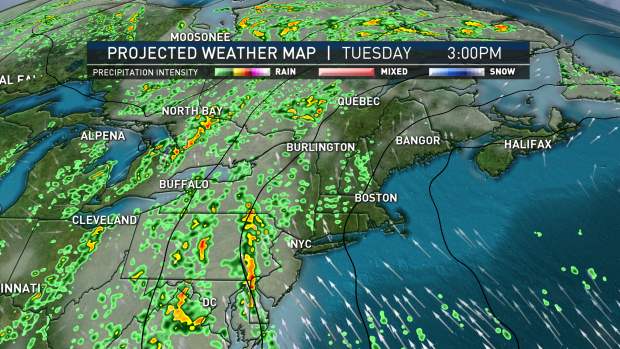 Tuesday and Wednesday, the greatest concentration of downpours will be situated over western New England. The heaviest rain will end up in upstate New York. That rain will return by the end of the week as the front moves through as a cold front. Widespread 1-2 inch amounts of rain are looking likely from Wednesday night into Friday morning. Once the rain exits, we are expecting less humid air to return. Showers may be around Saturday morning, but by the afternoon the sunshine will return. At this point, Sunday will be the pick of the weekend with some sunshine, low humidity, and comfortably warm temperatures. Don’t get used to the drop in humidity and dry weather. Showers and thunderstorms will redevelop by next Monday and linger through at least Wednesday. Temperatures will stay in the low to mid-80s.